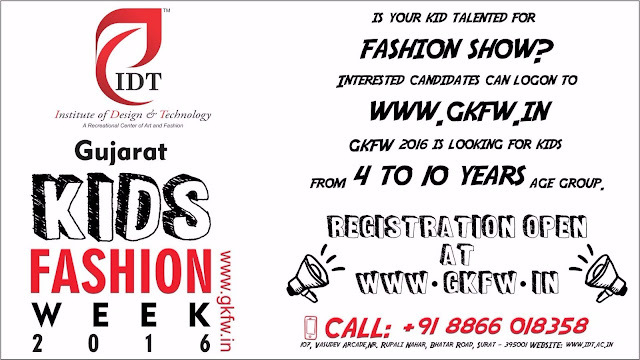 Registration Started at GKFW.in for Gujarat Kids Fashion Week. DT student and staff as a volunteer working @ craftroot exhibition. 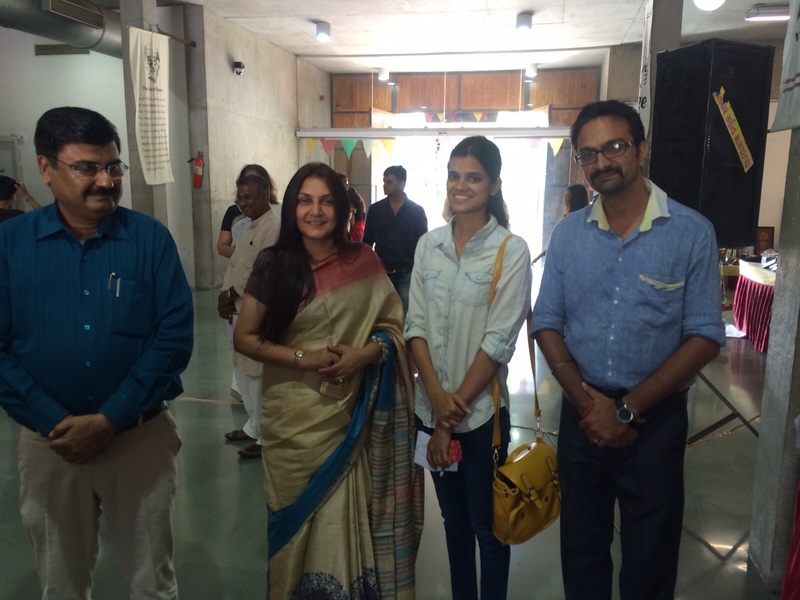 Idt students and Staff with Mrs. Anar Patel (daughter of Cm Anandiben Patel) & mayor niranjan Zanzmera @ Craft root Exhibition Science Centre Surat. 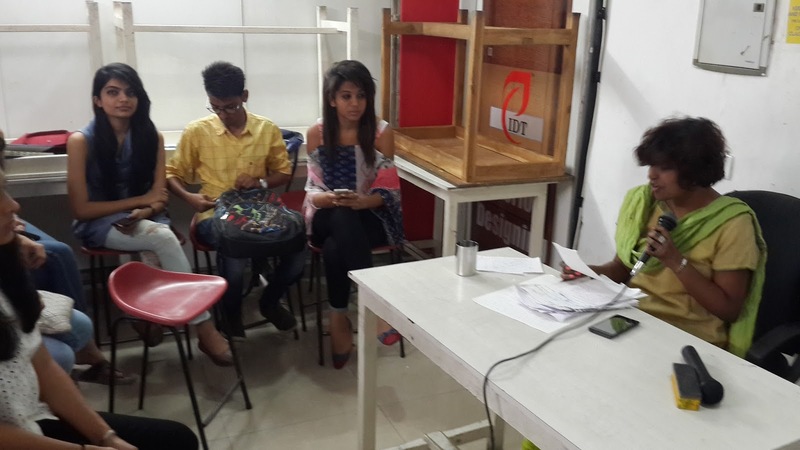 IDT student and staff as a volunteer working @ craftroot exhibition. 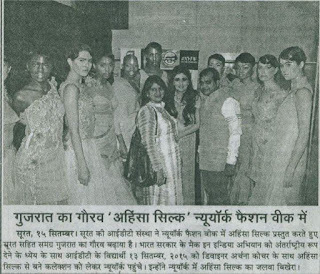 IDT, Institute of Design and Technology, Surat, along with presenting ‪#‎ArchanaKocher‬ , has surfaced with a unique perspective in the prestigious ‪#‎NewYorkFashionWeek‬, Sep 2015. 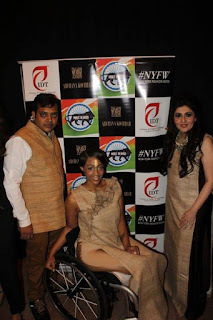 After joining its forces with Archana Kocher, internationally established ‪#‎FTLModa‬ and consulting firm Global Disability Inclusion, LLC, IDT has effectively showcased its collection with “Make in INDIA” fabric and an objective to increase the diversity and visibility of models with disabilities in the fashion industry. 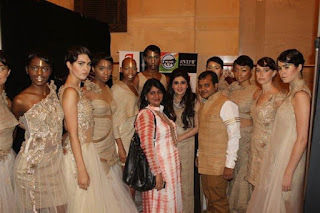 The collection marks an immense hit featuring a fabric produced in India called “Ahimsa Silk” dipped in a stunning style of fashion with spark of brown and golden looks offered neat structured tailoring Archana’s signature fitted dresses. “IDT is thrilled to get associated with dynamic Archana and moreover after our synergy for many Surat- Mumbai based shows, we are proud to participate with her in NewYork Fashion Week, Sep, 2015. 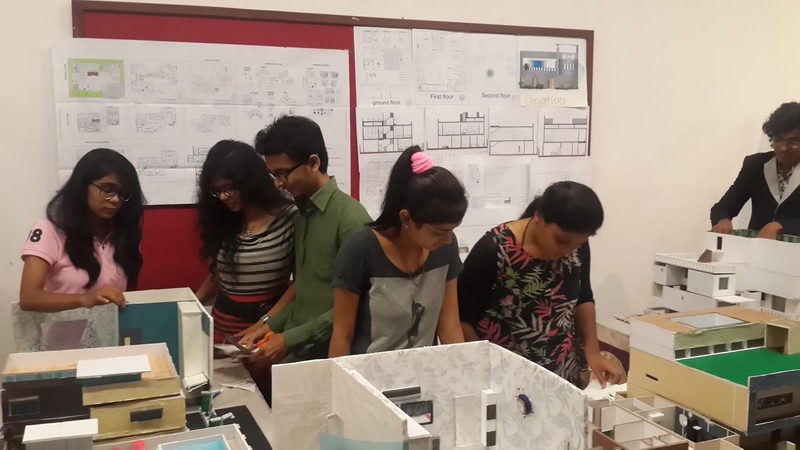 We will definitely look forward to materialize such projects in future as well ” said IDT Director Anupam Goyal. The presence of Indian produced fabric at an international runway will certainly promote it in Global market and ultimately encourages its production. 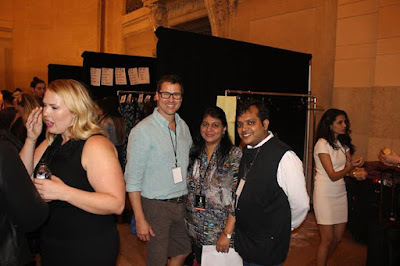 The Show was featured during NewYork Fashion Week held at ‪#‎VanderbiltHall‬ in Grand Central Terminal on Sunday, September 13 at 5 PM. 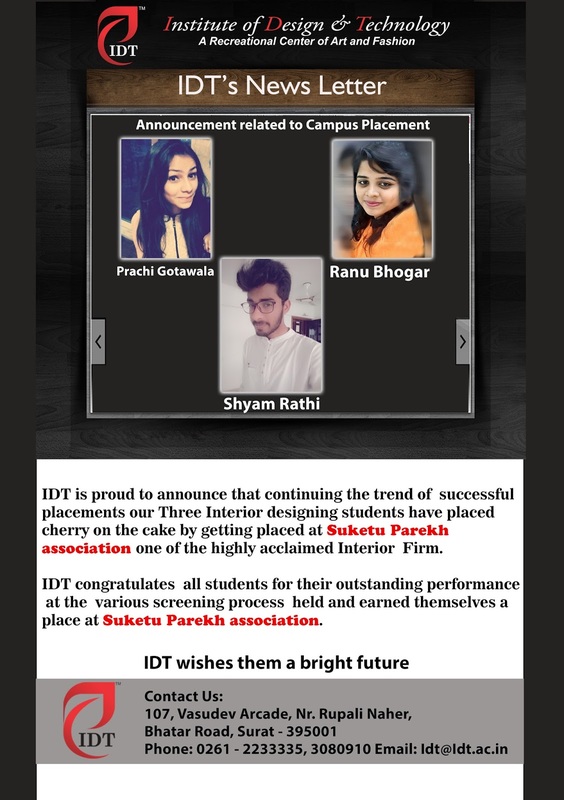 t gives an immense pleasure to announce that IDT, Institute of Design and Technology, situated in textile city of India named Surat, Gujarat, has been selected to be a part of FTI Moda NEWYORK FASHION WEEK, September 2015. IDT has marked its identity in providing quality education in the field of Fashion and Interior Designing. 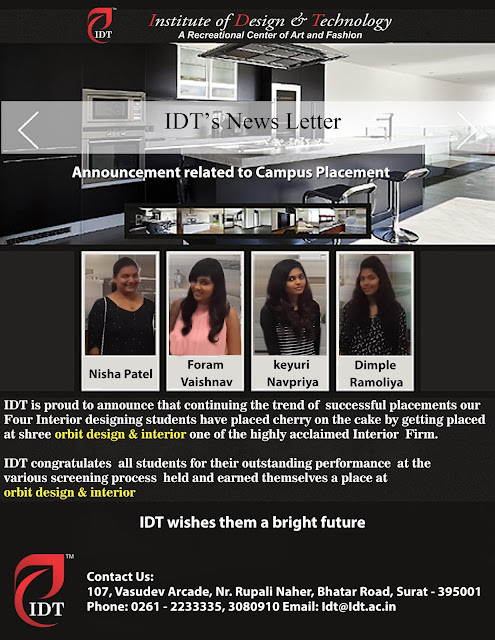 IDT aims in providing students, industries best curriculum for fashion & interior designing students which is a vivid compilation of Creative, Competitive, Changing and Challenging trends of industry. 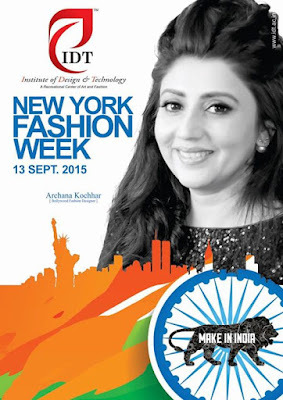 Amidst huge number of entries of fashion designing institutes from all over India who desired to be a part of Newyork Fashion Week, IDT has proudly made its mark for the biggest fashion event at NEWYORK fashion week to represent itself along with presenting Archana Kochar’s MAKE IN INDIA Campaign. 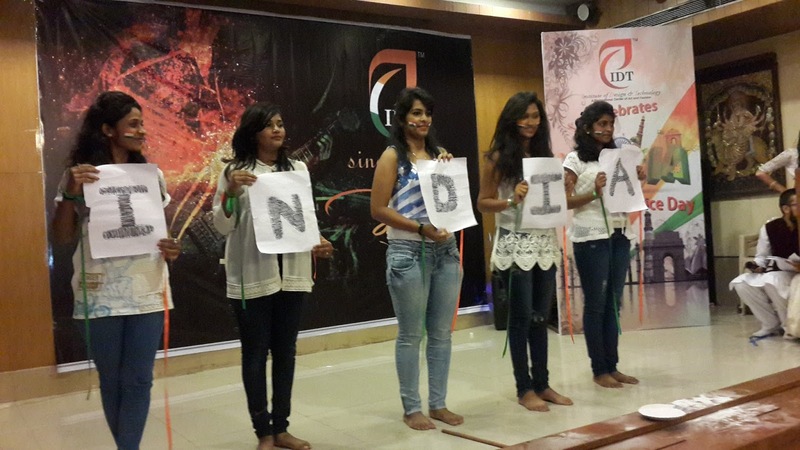 A collection made from the non-violent fabric named Ahimsa Silk will be showcased in the Show. The whole motto of this project is to promote the Indian fabric enough in international market so as to raise the income of those engaged in its production. 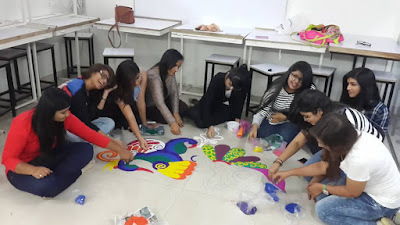 Collaborating with Archana Kochar with an objective to encourage few dying arts and crafts of India, IDT is thrilled to share a mission to promote MAKE IN INDIA campaign and also showcase the artistic, creative outlook of their designer students. 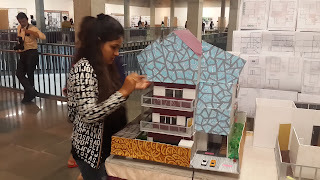 The designs are greatly appreciated by Honorable Chief minister of Gujarat, Anandiben Patel and she send her best wishes to represent India for such a noble cause. 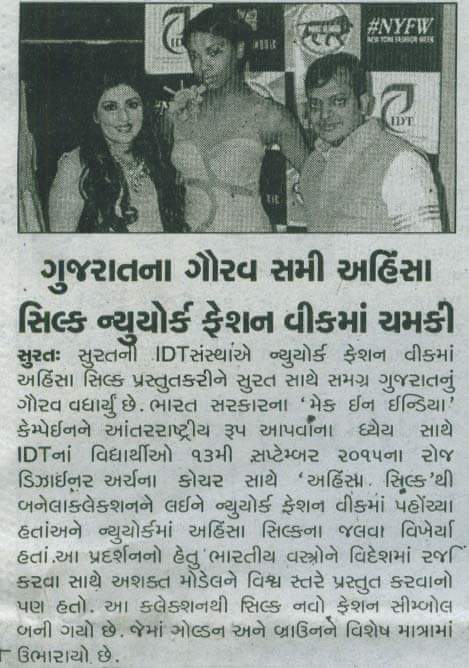 Along with, many renowned industries of Surat also give their wishes. IDT been selected for such highly noted Fashionable event is just because of the amount of art its designing students exhibit. IDT is proud to maintain the high quality educational standards that it desired to in providing world class exposure for their students. 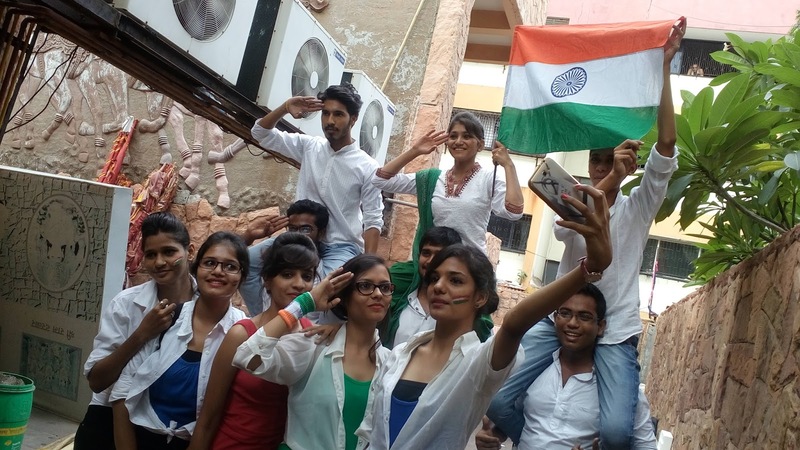 Super energetic IDT students celebrated 68th Independence Day with great splendor, joy and respect for Mother India by organizing cultural activities like Dance, songs Drama, pyramid formation etc showing patriotism towards our country. All the performance of IDT students was worth remarkable, IDT congratulates all our students for their mind blowing performances. 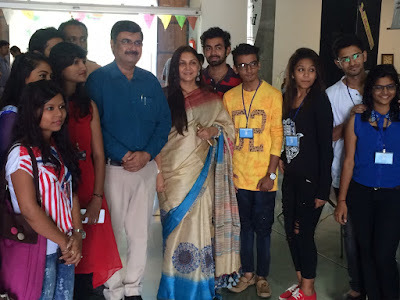 IDT collaborated with SMILE Foundation for its 9th Edition of “Walk The Ramp with Celebrities & Promote Girl Child Education”on 2nd August 2015.A highly celebrated Fashion event in support of Girl Child which was dwelled with celebrities from the fashion industry named Yami Gautam, Ileana D'Cruz, Lauren Gottlieb, Rajkummar Rao, Jackky Bhagnani,Sagarika Ghatge, Sachiin Joshi with wife Urvashi, Manish Paul, Isha Koppikar, Roshni Chopra, Anusha Dandekar, VJ Andy, Tara Sharma, Meiyang Chang, Rajniesh Duggal, Mukesh Chhabra, Akshay Oberoi. A place where our IDT students got opportunity to work backstage and even showcase their work based on respective themes for children of SMILE Foundation,thus giving them a valuable insight of the fashion industry amidst all the well known designers and celebrities. 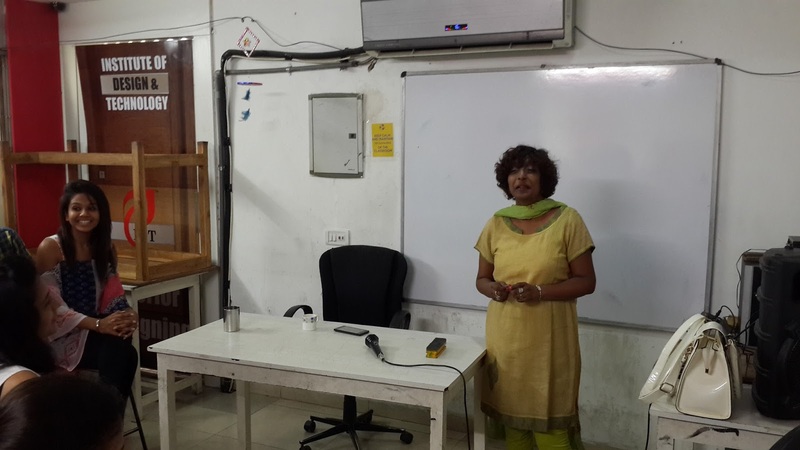 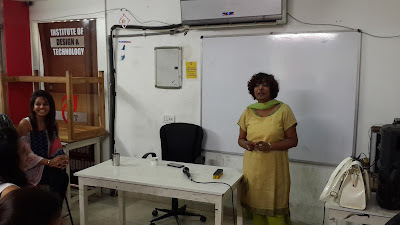 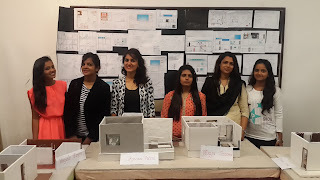 Interior designing students emphasized on the importance of recycling and reusing the valuable waste material into making some fantastic and usable products. Various waste sources were made use for making product design used in interior through various innovative and creative ideas. 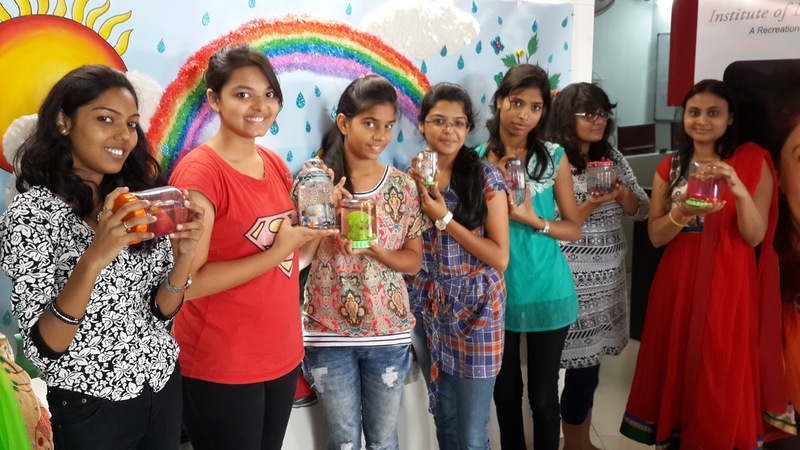 IDT celebrated Friendship day by making decorative snow globes for their friends and made the day a perfect occasion to let their friends know how much they are needed and loved by fashion designing students. 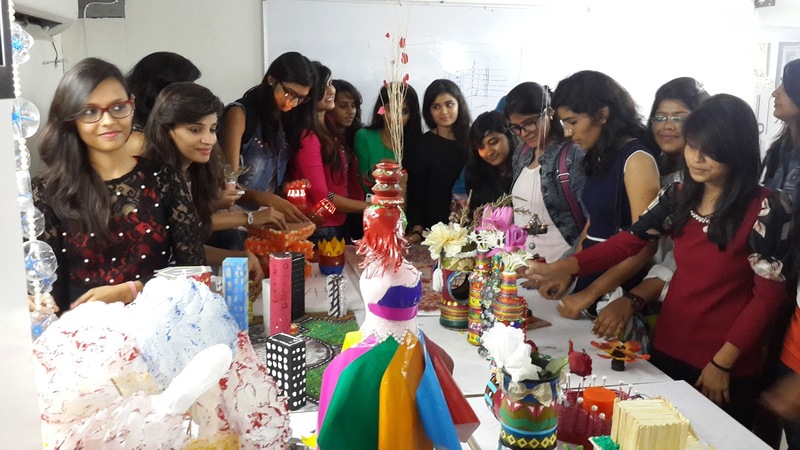 Similarly Interior Designing students celebrated the day starting from playing games, organized music & dance and unique product making and displaying the exhibition of it. 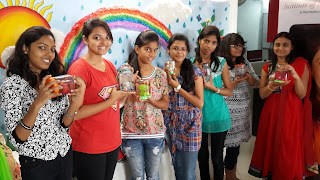 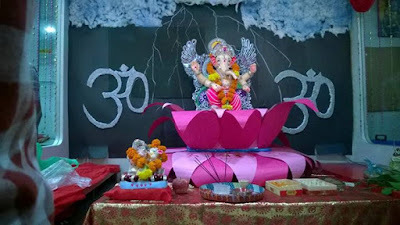 The day brought the unique creativeness of students and converted the day into fun filled day. 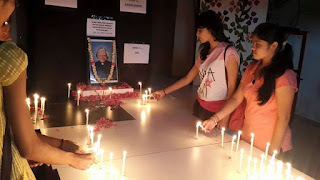 IDT lamented the loss of Former President APJ Abdul Kalam, the 'missile man' who came to be known as 'People's President' by lightning of candles and paying homage to the person who left an indelible mark on the hearts and minds on people. The main objective of the whole workshop was to make fashion designing students understand that they can make something out of nothing as they always have materials around them. The project was undertaken by using t-shirts, old or new, big or small, as long as cotton is the main fabric involved. 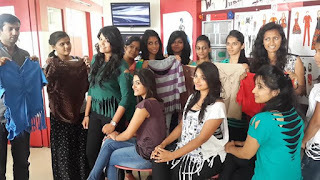 Students recycled t-shirts by using artwork of cutwork, knotting, patching, sliting, draping. 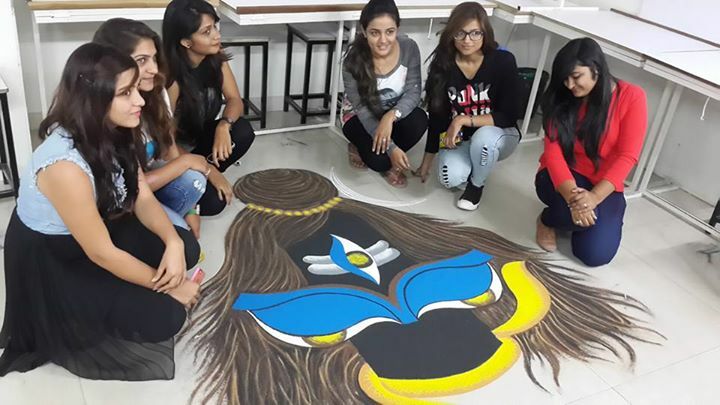 The students developed the knowledge of back designs, butterfly bow, geometrical shapes etc. 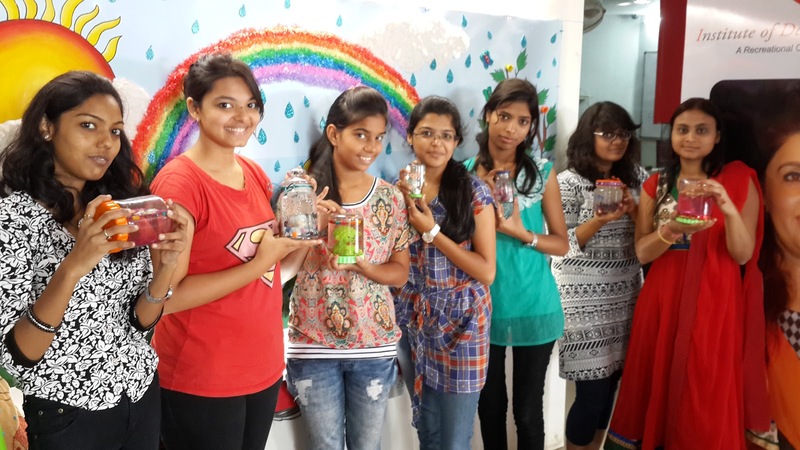 The successful completion of the workshop and the innovative things that emerged through this workshop showed how the community can use the resources provided to them and help the environment in return. 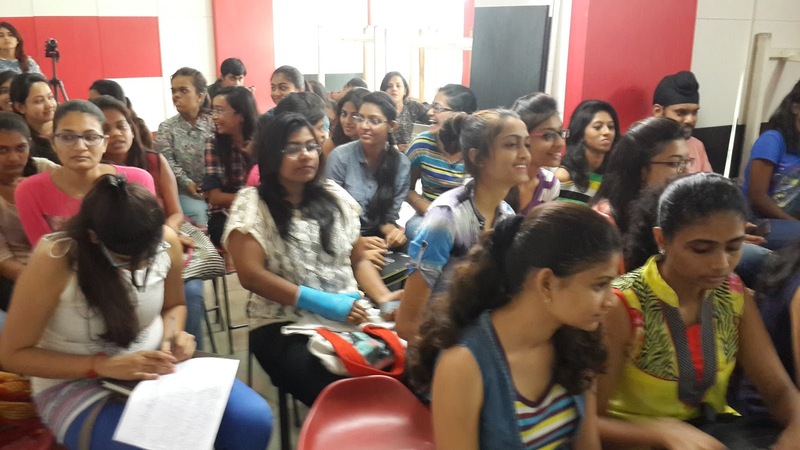 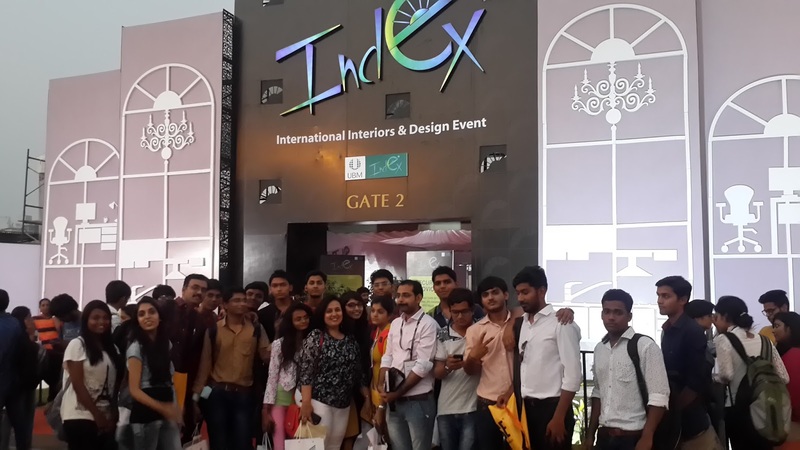 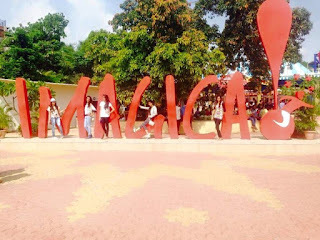 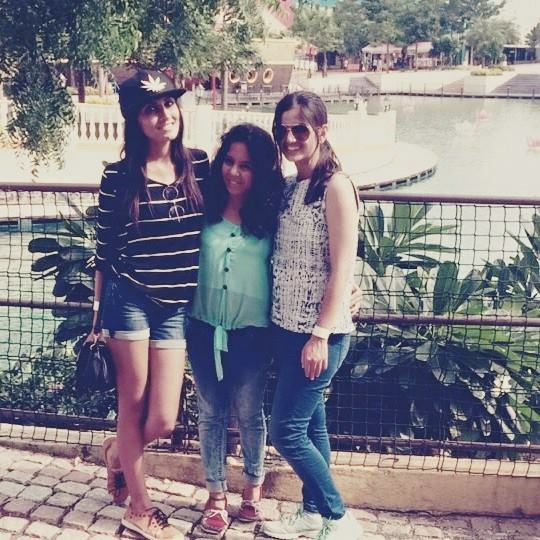 IDT fashion designing students refreshed their tired nerves by enjoying a short trip to Adlabs Imagica. 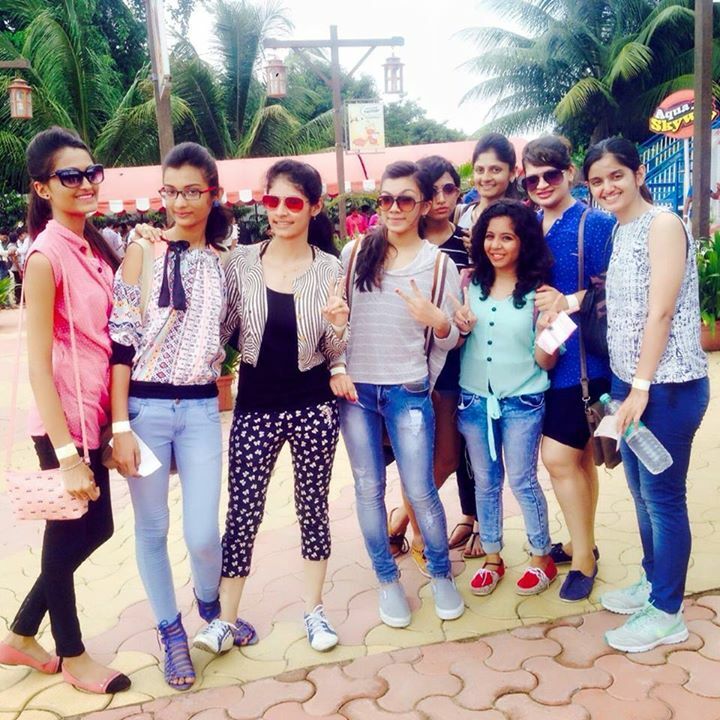 Our students made full use of the trip by indulging in various rides, amusement themes, water rides and made the trip memorable. IDT-Institute of Design Technology presents to you breath taking ultra stylish “FASHIONOVA 2015” . 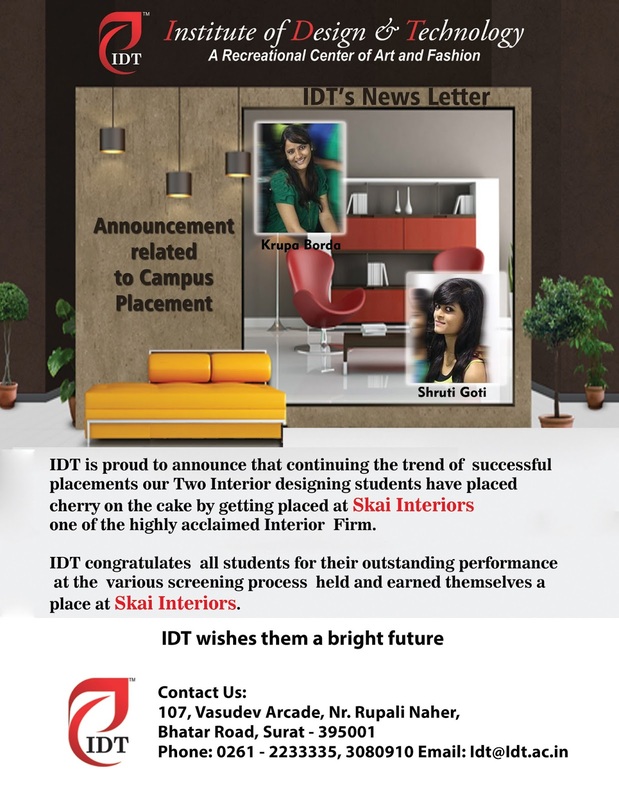 It’s been almost 5.5 yrs to IDT and in such short time span IDT has made its name so famous. IDT has conducted many social activities, campaigns, factory visits, fashion show for our senior citizens named “old is gold”, fashion show for kids named “Juvenile Jalwa” and so on, in which students activity participated and showcased their knowledge, creativity, designs in all the aspects respectively. 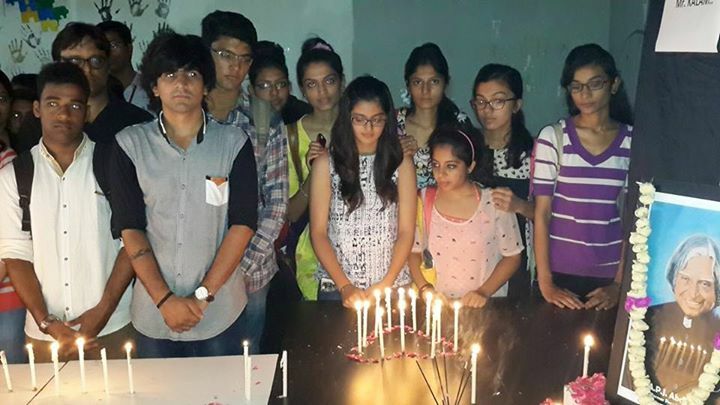 These activities mesmerized everyone. 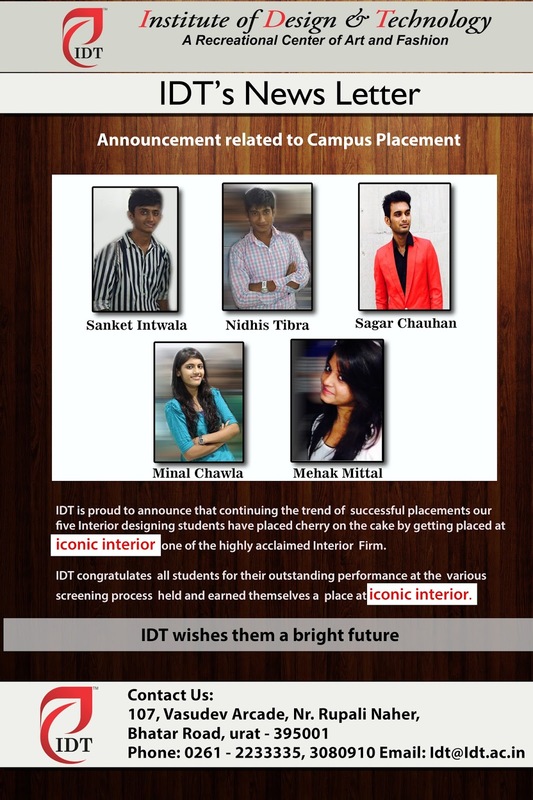 IDT always encouraged faculties, staff members and everyone to fulfill their dreams, creativity and to grab such opportunities and make wonders out of it. 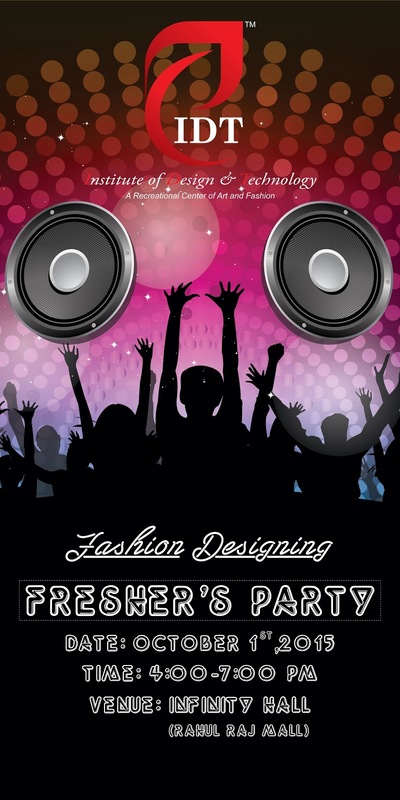 IDT presents to you “Fashionova 2015” for the first time with wide range of themes. 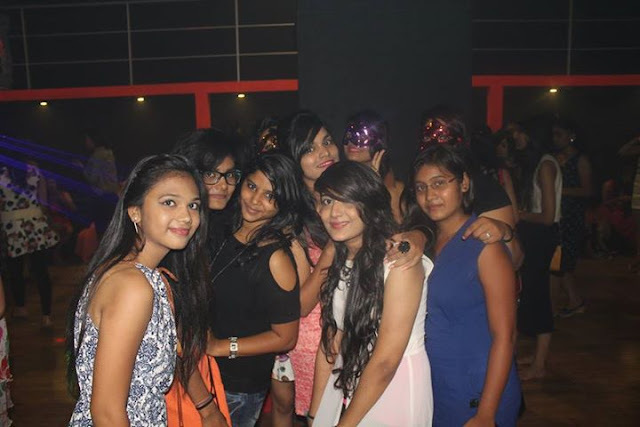 Fashionova 2015 says, “make everyday ordinary into everyday extraordinary” which means there are more ordinary days in life then why not make them special by wearing cute and stylish outfits. 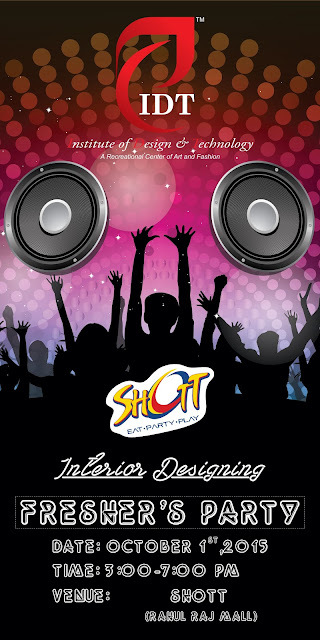 It brings to you tempting quality with a mixture of trend and style. 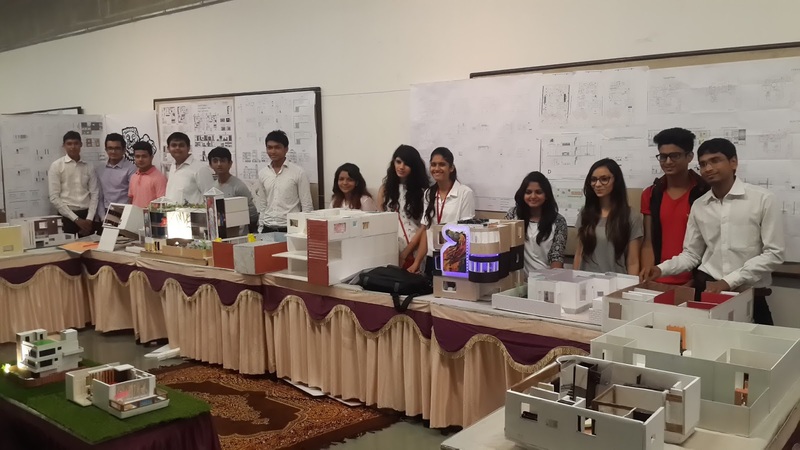 The future designers are among us only. 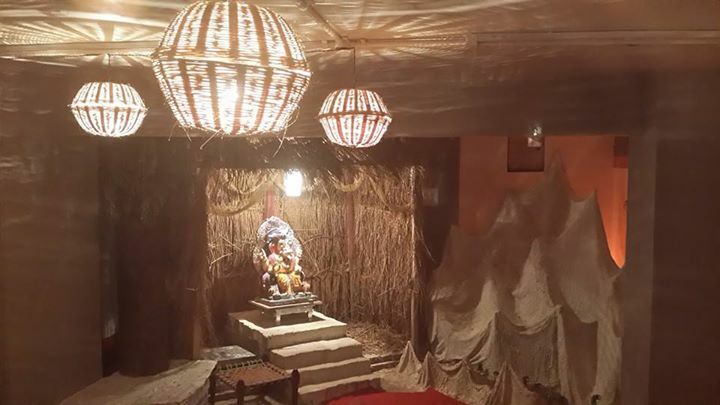 All we have to do is to choose the right path and channelize our high spirits with the best of facilities available. 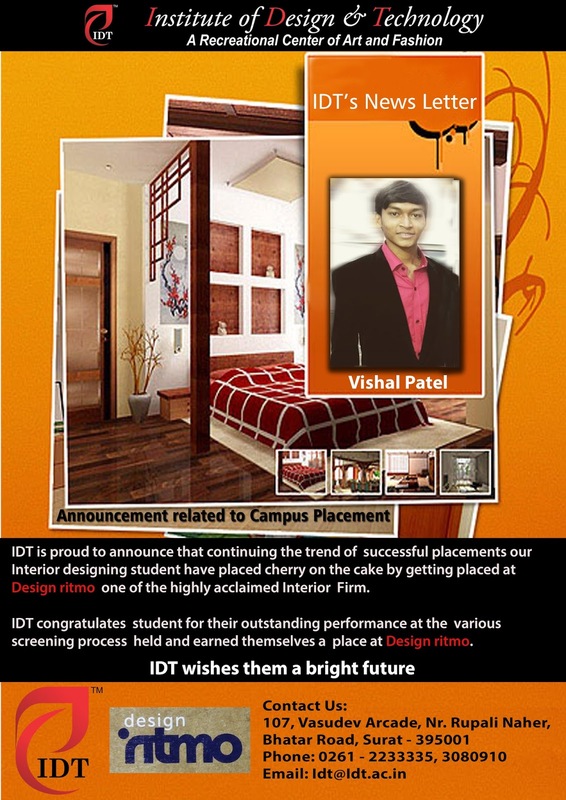 Every success is born of a dream which begins the dreamer. 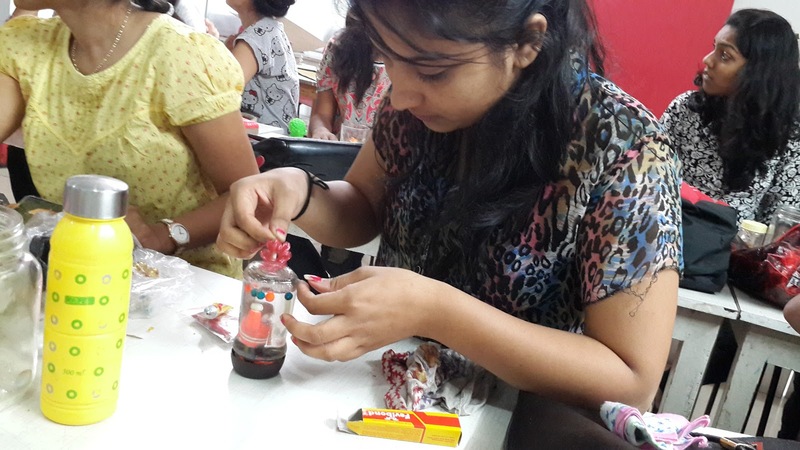 We bring to our students today’s world and they create their world of tomorrow. Fashion is all about sensuality which can be seen in our creations. Fashionova presents to you themes like Take A Bow, Wine Shine, Girls Protection, Rajwara, Summer Affair, Disco Fever, Natures Beauty, Wooden with Mirror, Crystal fountain, Army, Walk with Dulhaniya, Stylized Denim with truck Art and Grey Diva's . 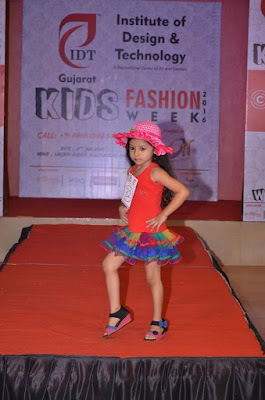 Our collection is fusion of trendy western outfit with an elegant traditional ensemble. 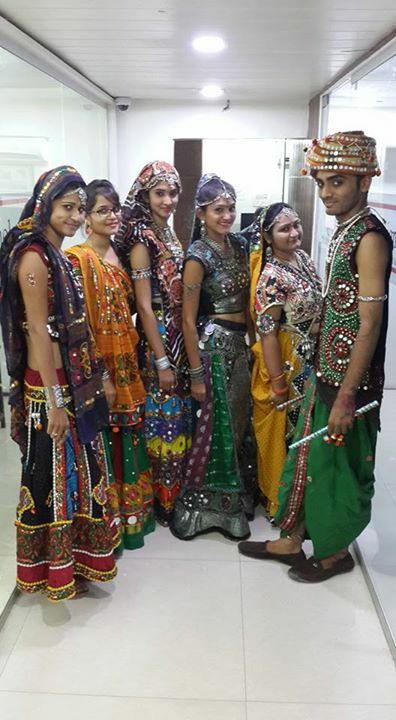 The ethnic attires symbolize the essence of purity and represent the rich tradition of India. So, we gonna mesmerize you all with our thrilling, innovative and artistic creations which will be remembered for its great beauty and charming look. 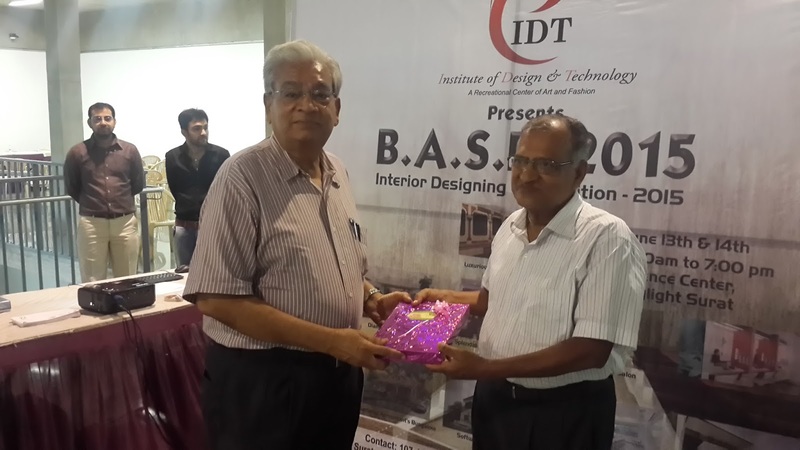 IDT's recently held Exhibition and Competition BASE- 2015, witnessed by the renowned architects and designers of Surat- Bankim Dave, Azaz Calcuttawala, Kunal Engineer, Kinjal Mehta, Akash Kinariwala, Prashanat Manani, Jay Bhagatwala, Abhijeet Pariyal – has showcased eclectic pieces of residential as well as commercial interiors and greatly being appreciated. 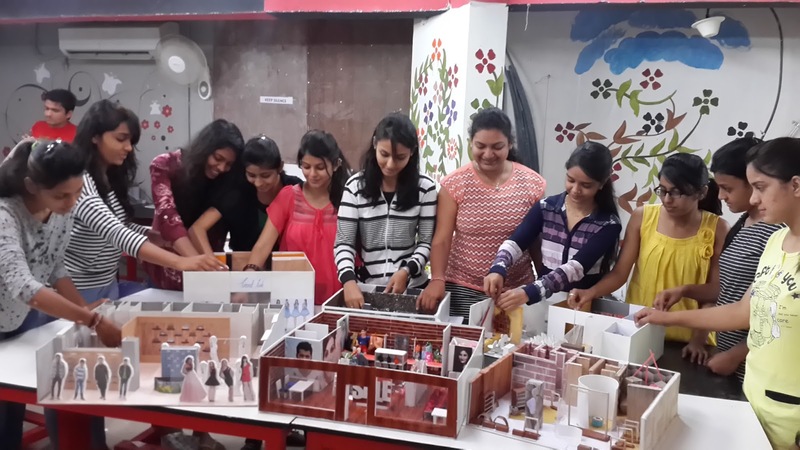 The students worked on theme decor, keeping in mind the occupation and family details of given client. 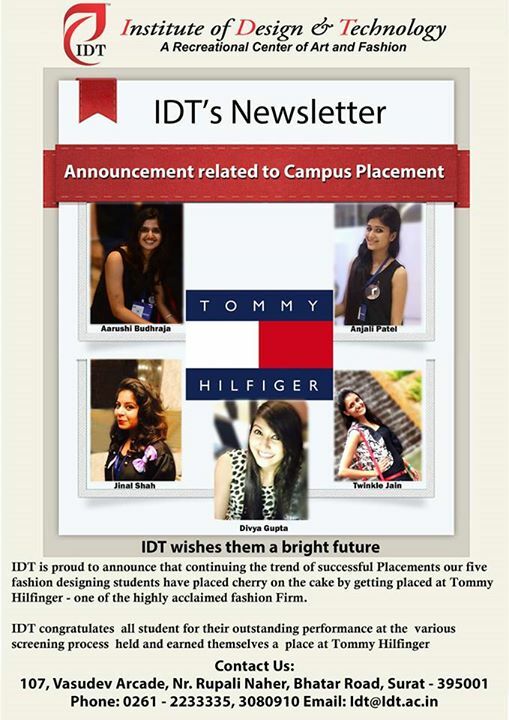 The commercial projects touched by IDT Senior students have focussed on new and inspired ground of Youth thinking. 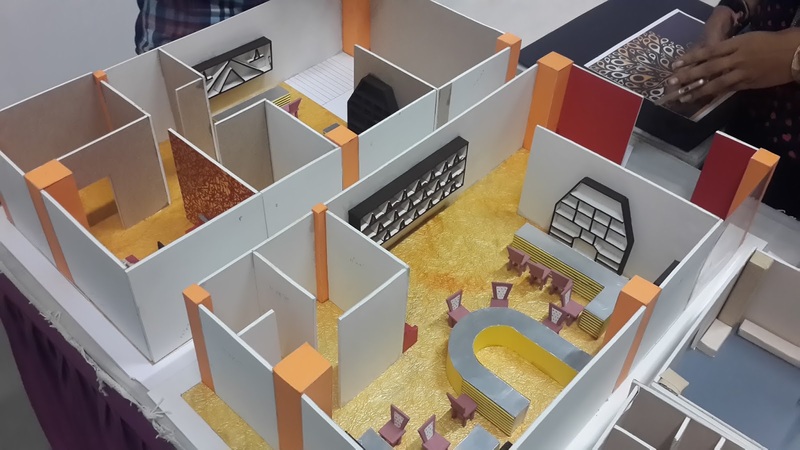 They are directed to design sustainable versions of banks, jewellery showrooms, Spa and Saloons, garment showrooms, designing institutes and Luxurious Rail Coach for future trains.